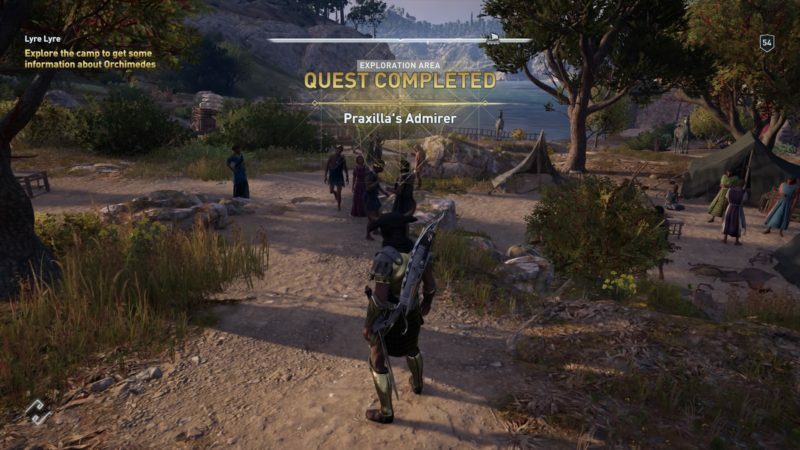 Praxilla’s Admirer is a quest under A Poet’s Legacy in Assassin’s Creed Odyssey. 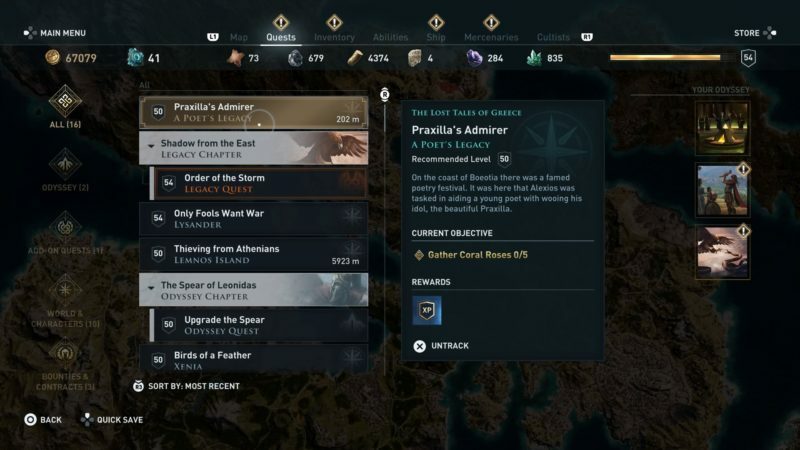 It’s one of the new quests recently introduced in the game. Your task is to gather coral roses. 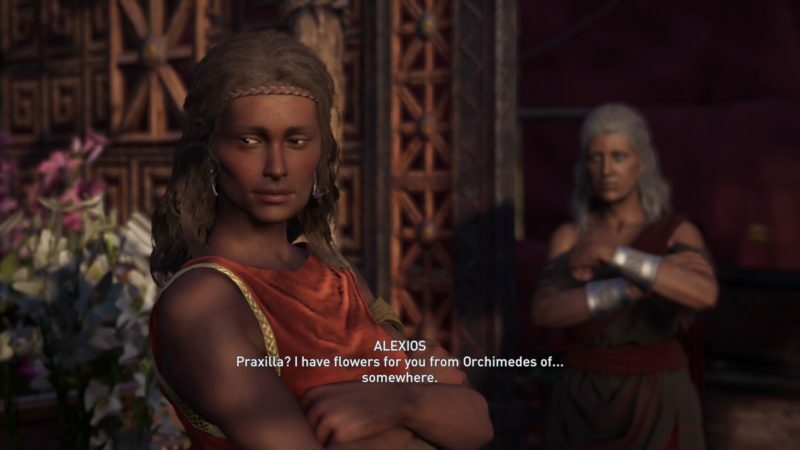 Here’s a walkthrough of Praxilla’s Admirer in AC Odyssey. 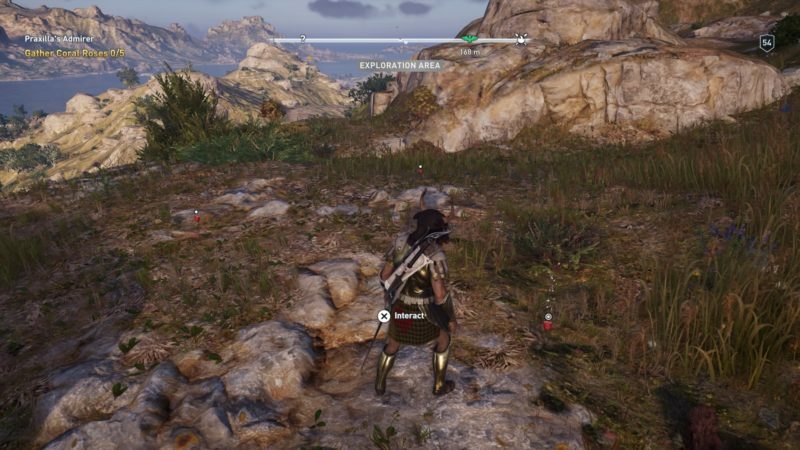 This quest is recommended for those level 50 and above, but it differs according to your own level. 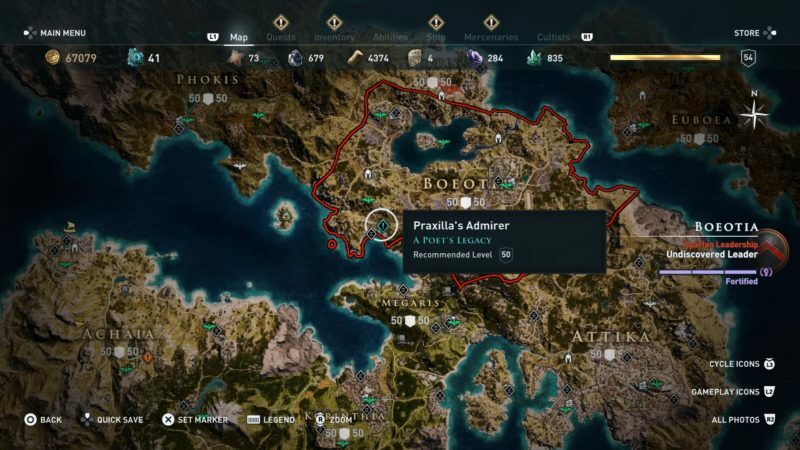 To begin the quest, get to the land of Boeotia. The exact location is shown in the map below, marked as the blue exclamation symbol. You should see a man here. Talk to him. Your main objective is to find five coral roses. 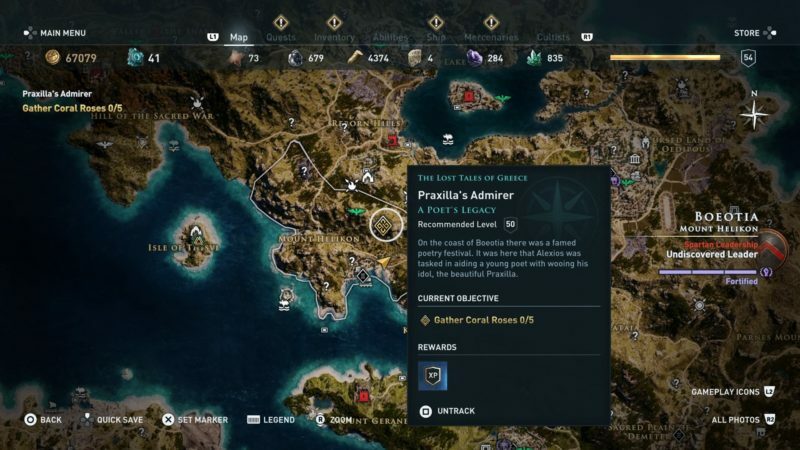 You can find them in the location shown in the map below, marked as the quest symbol. 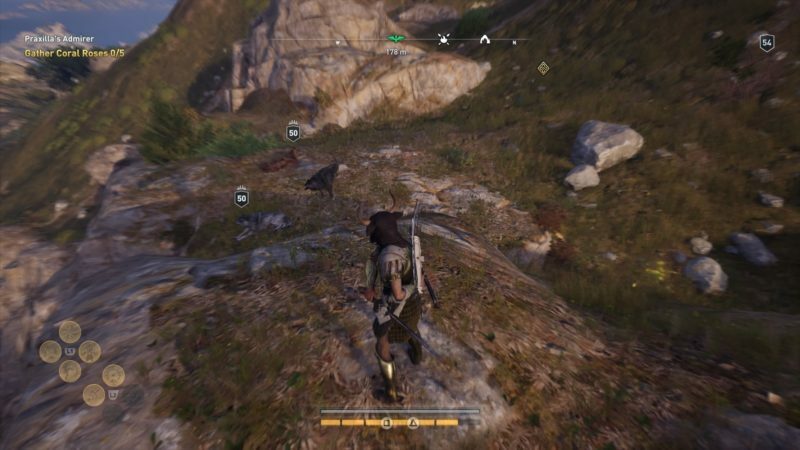 As you get there, you’ll notice some wolves. Get rid of them first. Once the threat is gone, look for the flowers. They are red in color. Interact with them to pick them up. All five flowers are nearby. Bring back the flower to Orchimedes (the man earlier) as he plans to woo his poetry idol. 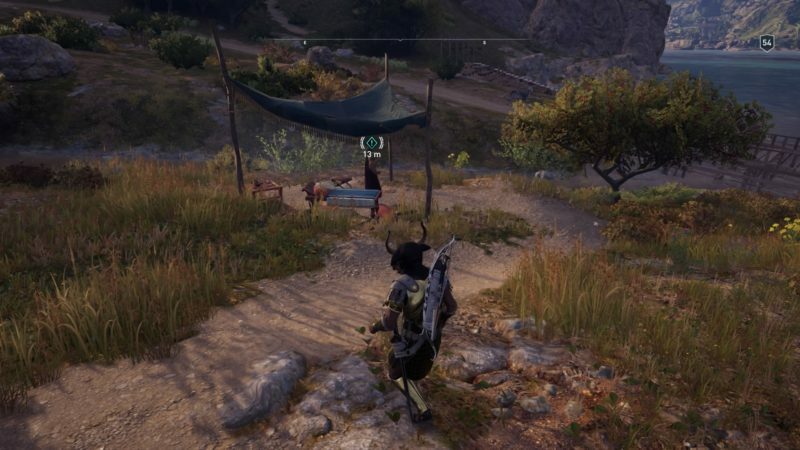 The quest completes here and you’ll probably get no rewards. 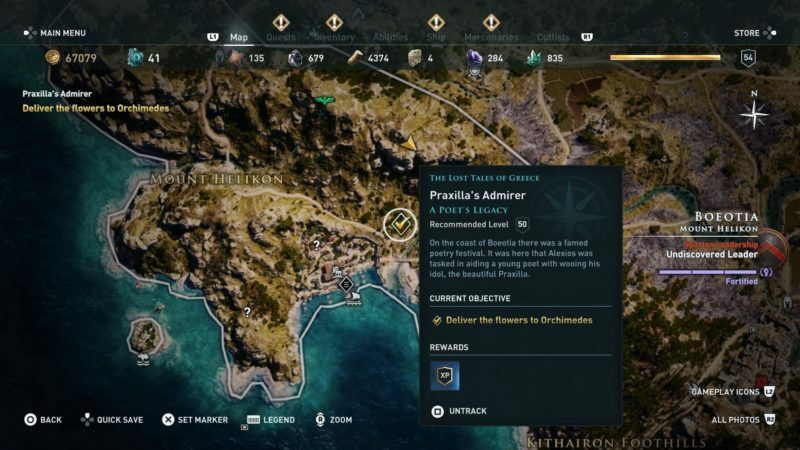 However, it unlocks a new line of quests under A Poet’s Legacy. That’s it for this quest.